Established in 1987, Auto Services of Southport offer servicing and repairs to all makes of vehicle. We supply and fit all sizes and makes of tyres. M.O.T. tests (Class 4 & 7) with no re-test fee on failure! Our friendly, experienced staff are always on hand to make sure your vehicle is kept in tip-top condition and always at reasonable prices. Southport Auto Services offer free tyre checks, so don't take any risks and have your tyres checked by us on a regular basis. Interim service for most cars £120. Full service for most cars £160. AUTO SERVICES FOR THE CHEAPEST TYRES IN SOUTHPORT! The condition of your tyres is extremely important for your safety, so inspect your tyres regularly for visible signs of damage such as cuts or bulges in the sidewall or uneven wear. Take advantage of our free tyre check and have any damage to your tyres checked by Southport Auto Services as soon as possible. Southport Auto Services recommend the following key areas should be checked to ensure that your tyres continue to perform safely and efficiently. 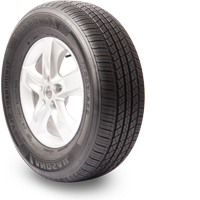 All tread depths (including the spare) must be greater than the legal minimum of 1.6mm in a continuous band throughout the central ¾ of the tread width of the tyres, and across the entire circumference of the tyres. Grip diminishes progressively with wear and as a consequence stopping distances increase, especially in the wet. The pressure of your tyres should be checked regularly, and always when the tyres are cold. • Structural damage to the tyre due to overheating. • Increased vehicle fuel consumption. • Reduction in the tyre's grip. • Irregular & premature wear to the shoulder areas of the tyres. • Increased chance of blowout. 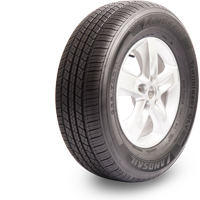 • Excessive wear on the centre of the tread of the tyre. • Less comfortable driving experience. Inspect your tyres regularly for visible signs of damage,such as cuts or bulges in the sidewall or uneven wear. Have any damage checked by Southport Auto Services as soon as possible.